One of the main attractions in Bosnia and Herzegovina (BiH) is the town of Mostar, where its pictureque Stari Most is almost iconic to the region. 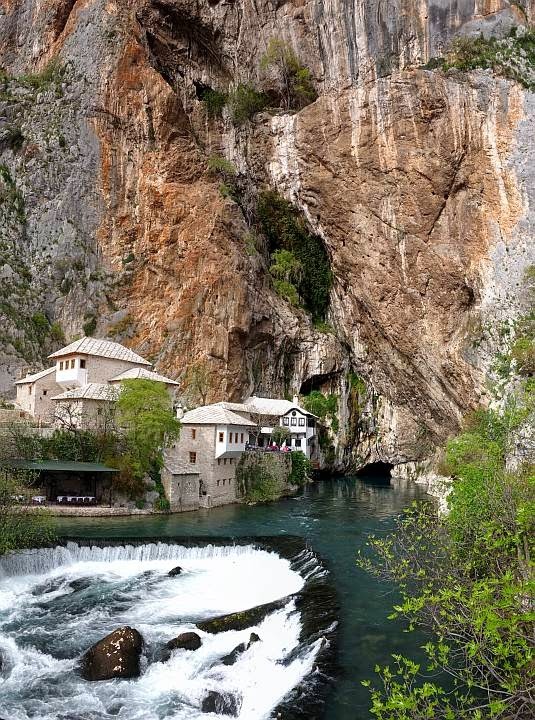 For those who have a little more time chilling out in Mostar, check out wonderful Blagaj. 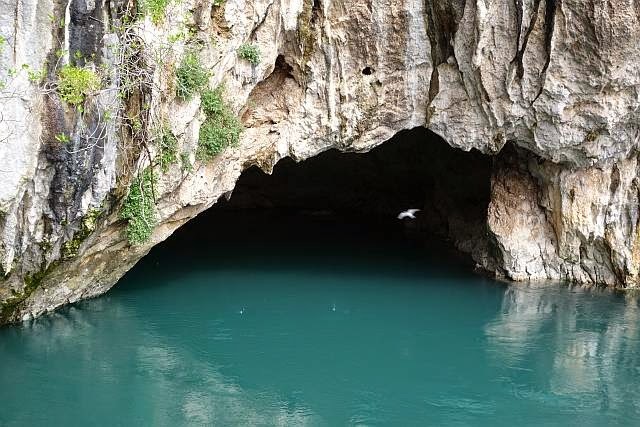 Blagaj is a village just 20-30min away from Mostar. 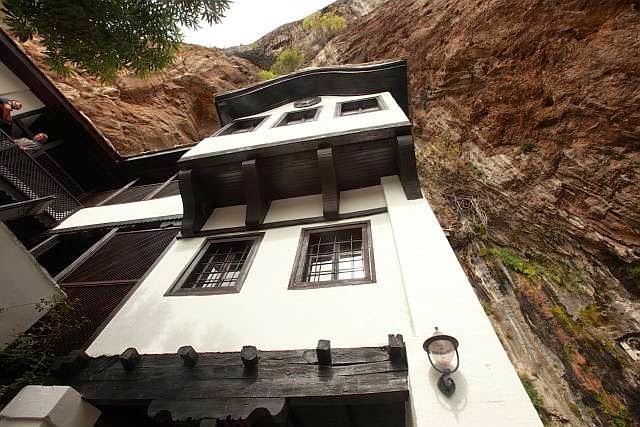 The main draw of the village is the dervish house (tekke) situated just at the bottom of a cliff, and close to the source of the Buna river. The tekke is a national monument in BiH and together with the village-town, is under UNESCO consideration. The architecture of the dervish house is a mix of Ottoman and Mediterranean style, and beautifully 'blended' with its surroundings. Indeed, it is quite pleasant just sitting by the many cafes/restaurants by the river, and appreciating the nature. 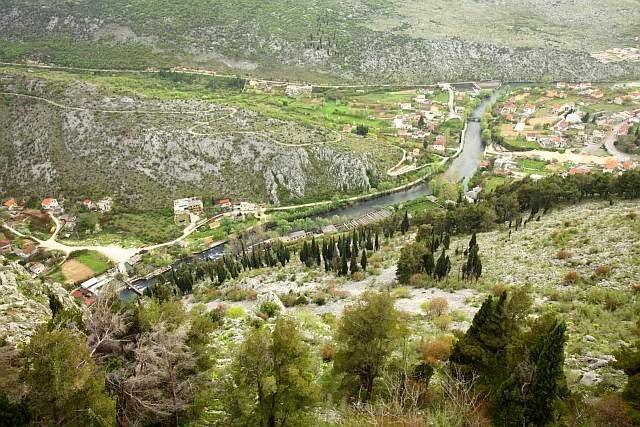 In fact, after alighting from the bus from Mostar, walking around the village is also a very pleasant experience. 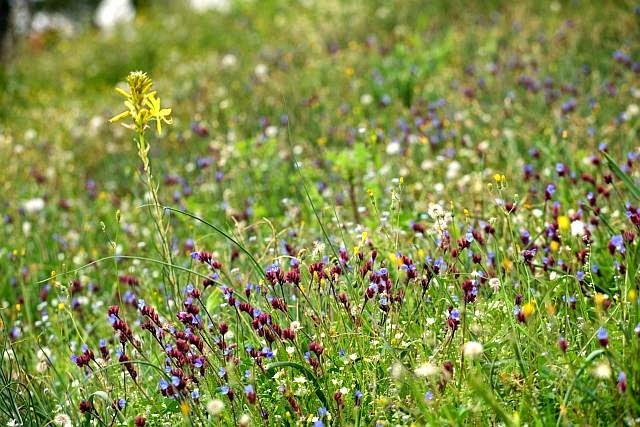 In spring, wildlowers are blooming everywhere, including the grounds of the local cemeteries and it was a very peaceful experience just walking around. 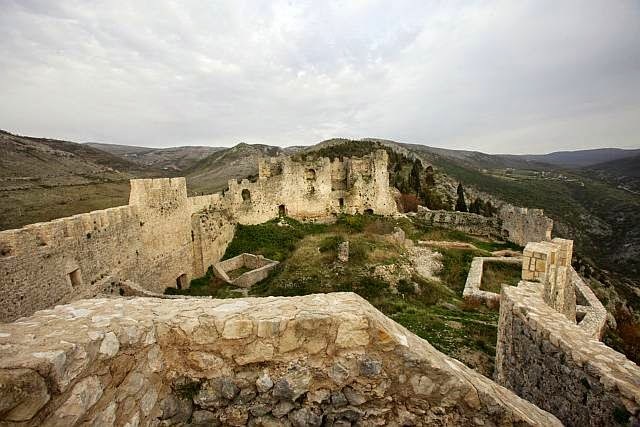 Another attraction would be the historic ruined Old Fort of Blagaj (Stjepan grad). While the ruins is just old stones, the views from atop the fort is quite fantastic. It's only about 45-min walk up but note that at some point the path up to the fort is easy to miss, so do watch out for it. Check out the bus numbers and schedules from your hostels/guesthouse in Mostar. In any case, the locals are really friendly, and would definitely help you out. The students I met on the bus not only provided good conversation, but made sure I got to Blagaj! So do chill out 1 more day in Mostar!